David Beckham’s fan following seems to be starting at home with his son Romeo Beckham trying to ape his daddy’s style. Romeo was seen astride on one of David Beckham’s favorite motorbike complete with a blue denim shirt, trainers, black jean trousers and his hair tied into a tiny ponytail. The former Galaxy LA star posted this adorable picture of his son on his Instagram account with the caption, ‘Bike, ponytail, jean shirt, black jeans, I think someone is trying to be like daddy…Off my bike, Mr. Romeo. This Instagram photo seemed to be an instant hit among David Beckham’s 11 million followers and got thousands of ‘Like father like son’ comments. 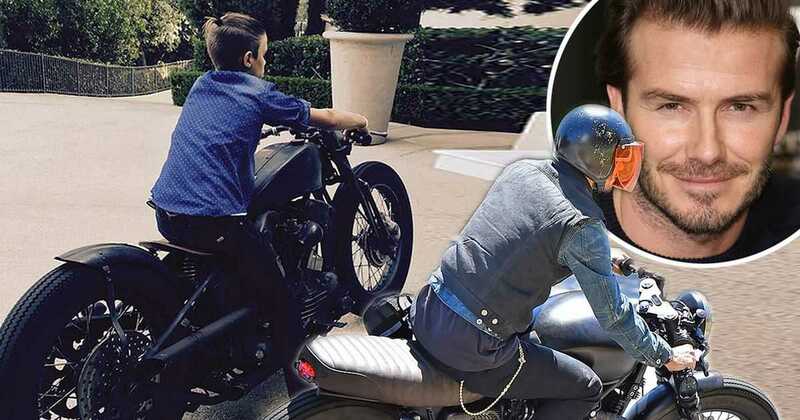 For those who missed the connecting earlier news, David Beckham was seen zooming on his Triumph Bonneville T100 motorcycle on the streets of LA sporting blue jean shirt, black denim trousers and brown boots with his hair tied back into a ponytail. Romeo seems to have been inspired by his Dad’s cool looks and is apparently trying to ape the former soccer star’s style quotient, reported Hello. The family also had a reason to celebrate this weekend what with Brooklyn revealing that he had passed all his GCSE exams. His Instagram account had a black-and-white picture of himself with a lovely celebratory piece of pastry. 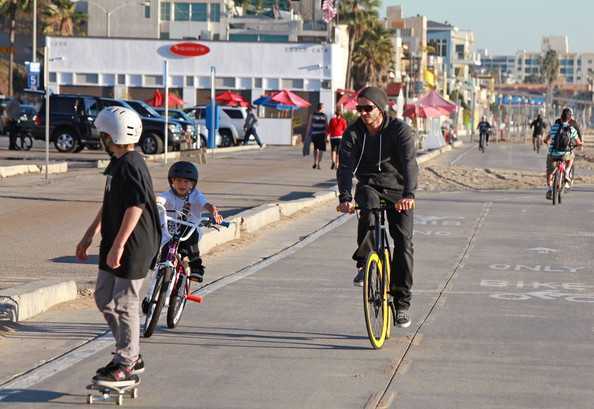 Not to be left behind her brothers, Harper Beckham, the star couple’s four-year-old daughter was seen riding her bike in a photo uploaded by her father with a ‘my California girl’ caption. Harper also seems to have had some intimate time with her mum, the Ex-spice Girl, Victoria Beckham.